Our 19 insightful reports will help your healthcare organization better manage your revenue cycle. 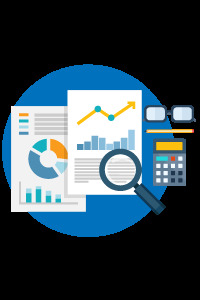 Boost your revenue and compliance by downloading our free RCM audit reports. Send my renvenue analysis report! The LRRA program is free. No hidden costs involved. We know how it feels when your hard earned money is left on the table. Your million dollar question here is what should be my first step to putting an end to the revenue leaks? PracticeBridge delivers 19 different actionable revenue audit reports to help you take crucial decisions and prevent Medicare RAC (Recovery Audit Contractor) or ZPIC (Zone Program integrity contractors) auditors from knocking your door. Our CPMC certified Revenue Auditors will step in and dig your past one year's billing and collections to give you big-picture insights of your revenue loss. You will be more than happy with this report because it gives you more than just numbers and graphs. Devise smart strategies and take action on major revenue drainers by knowing the facts behind revenue drops. Don't let your revenue slip through the cracks due to inefficient billing processes. Our 19 KPI reports help you take informed decisions and correct faulty RCM workflows. Recommended by most successful HCPs. PracticeBridge enables you to make brilliant financial forecasts and smart choices to improve your revenue every year. "I've finally understand why my collections were at variance with the number of patient visits at my medical practice. This report has helped me a great deal"
"One of the most useful reports I've downloaded! It offers information and insights that have helped me take better financial decisions."